Gene regulatory network (GRN) is an artificial network comprising a gene set and their mutual interactions. One gene interacts with other through protein production which is called ‘gene expression.’ The computational reconstruction of GRN is made using gene expression data where gene expression values are provided in a matrix. Here, a recurrent neural network (RNN) model is used to represent the GRN. 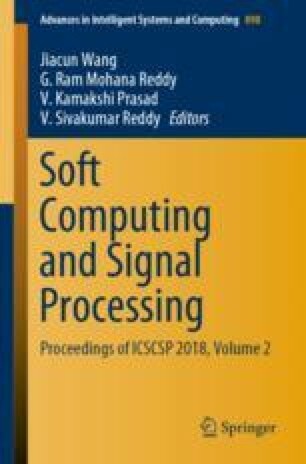 In this paper, a meta-heuristic algorithm, namely harmony search (HS), has been modified and applied to train the network parameters in reconstructing GRN. The proposed HS-GRN algorithm is applied to a standard artificial gene expression dataset, and the experimental results are compared with several other methods. It shows that HS-GRN performs better than the literature methods on this dataset. Furthermore, HS-GRN has also been applied to two real gene datasets, namely IRMA-ON and IRMA-OFF. The experimental results state that HS-GRN performs satisfactorily well in real datasets also. We are thankful to TEQIP-III Maulana Abul Kalam Azad University of Technology (MAKAUT), West Bengal, India, for supporting our research.